I just went through Luke 10, and one phrase really gave me great perspective. Jesus had sent out 72 disciples to preach the Good Word, and upon returning, they were ecstatic that even the demons were subject to them because of Jesus' name. Jesus "Do not rejoice because the Spirits are subject to you, but rejoice because your names are written in Heaven." Wow! What beautiful words those are! But aside from that, there is a very powerful message in there for them - and of course, for us. 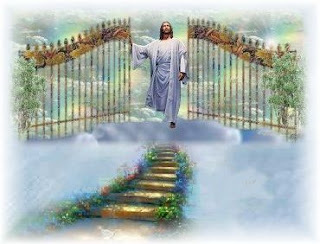 Getting to Heaven is the ultimate goal for all of us here. No matter what worldly successes we have (even driving out demons! 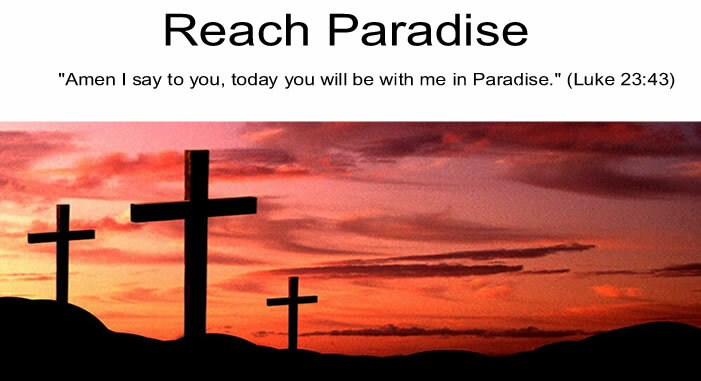 ), none is greater than reaching Paradise. As I reflected on all this, I realized the same applies to our failures here on Earth. Not sins, of course, but those things that feel important at the time but really aren't when compared to what awaits us in Heaven. Like making a mistake at work, or saying something stupid in front of a crowd. None of them matter as long as they don't get in the way of our journey to God. They say perspective changes everything, right? Well, I know what my perspective is. Its got pearly white gates and St. Peter holds the keys. That's my constant prayer, Michael, that my name is written in Heaven -- my name and that of all those I love. And then when I think about it some more, I begin to pray for all those who Jesus loves!!! Truly there is SO much to pray for! Good evening Michael. Happy Monday.I really liked your post. I also hope my name, that of my loved one's, and my friend's are written in Heaven. It's true that there are a lot of things we worry and fret about here in this world that are unimportant in the sheme of things. God bless you. I hope you have a wonderful week. Thanks for reminding us that we should never lose sight of the real reason we are here on Earth. God Bless, Michael. Thank you for your comments! Its always nice to hear from all of you. I pray that each of your names are written in heaven!